It’s no big secret that your skin will dramatically change with years and behave differently in different environments, which would not only affect its appearance but also the home care products you use as a part of your daily routine. I’ve recently discovered some amazing brands that have completely changed my entire skincare routine and I’m very excited to be sharing my picks with you all today. Having oily or combination skin isn’t easy. 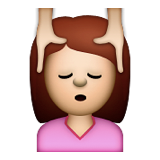 It doesn’t especially help when a shiny forehead is the main attraction whilst taking iPhone selfies. (can relate, anyone?) 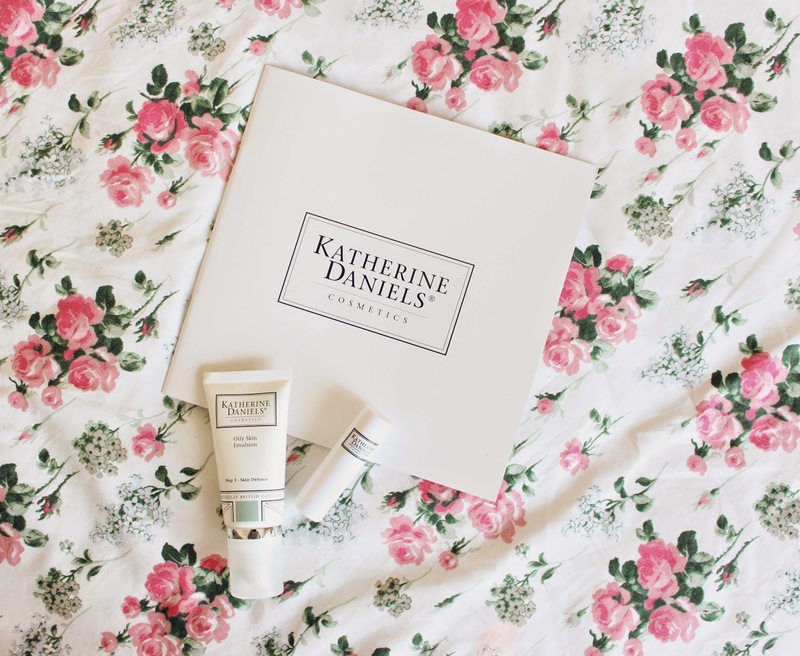 This is why I felt like I’ve hit the jackpot when I discovered these jewels from a British skincare brand Katherine Daniels. 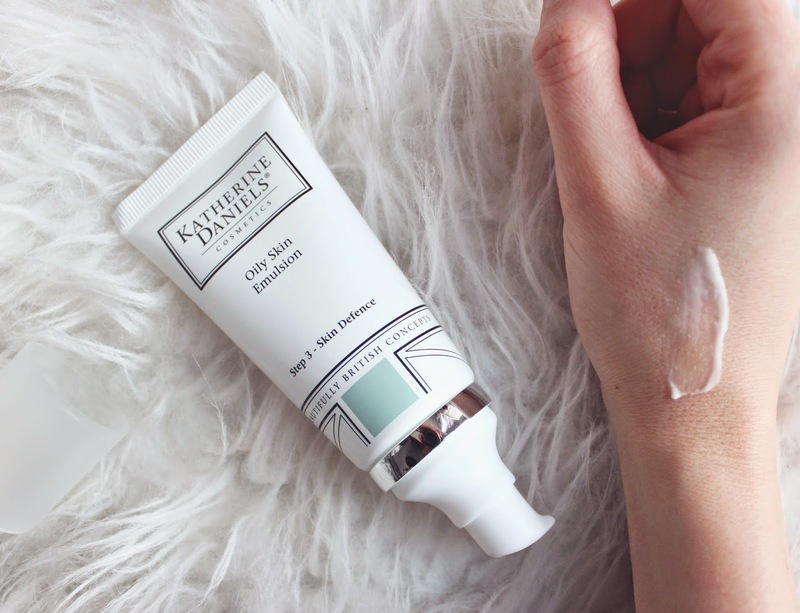 Developed by passionate beauty therapists and approved by beauty bloggers and experts, this skincare brand is perfect for all. I was very impressed with the particularly wide product range – from face treatments to slimming creams and luxury accessories, just to name a few. 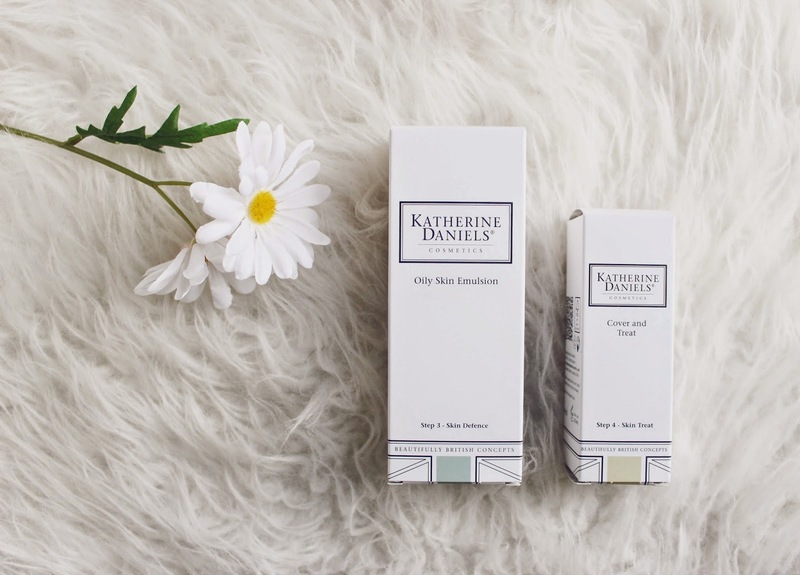 I fell in love with this lightweight Katherine Daniels Oily Skin Emulsion as it perfectly addresses all the needs of oily skin type. The results are instantly soft and glowing and I love the fact that you can use it 24/7, day and night! The Cover And Treat Concealer is another perfect addition to my skincare routine as it doesn’t just mark blemishes, yet it treats the actual problem at its root. With salicylic acid, zinc oxide and vitamin E as the main ingredients in its formula, this 2-in-1 concealer is just what I needed in my life. 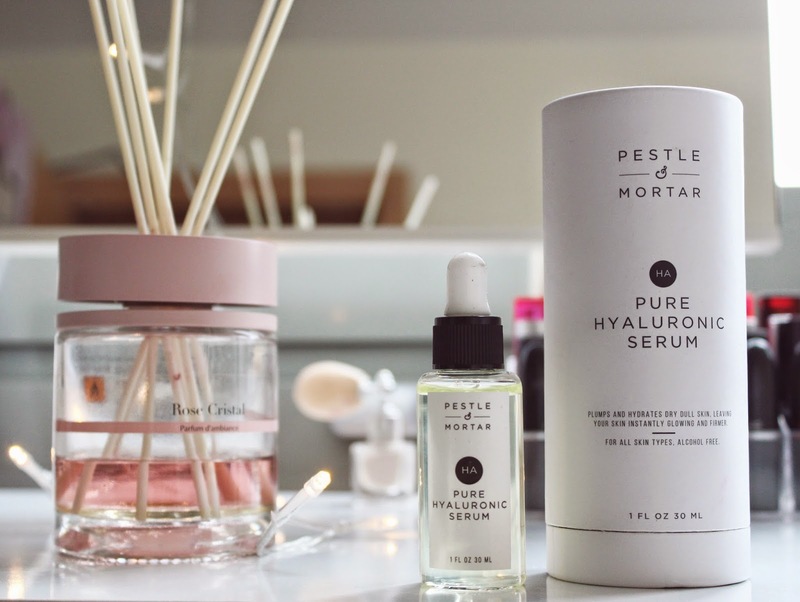 Not that long ago I’ve spotted Pure Hualuronic Serum by Pestle And Mortar in Stylist Magazine and I straight away wondered what the media fuss was all about. The versatile serum comes in a cute 30ml glass bottle and has an easy dropper applicator. Despite the serum label, the product is ultra-light and works to hydrate, soothe, restore skin and smooth any fine lines. In general, the benefits of hyaoronic acid are just countless! Interesting fact: Pestle & Mortar Pure Hyaluronic Serum is paraben / propylene / glycol / fragrance free and not at all tested on animals. Not that long ago I was lucky enough to attend the UK press launch and meet the very owners and people behind the global boutique cosmetics brand – SABON. 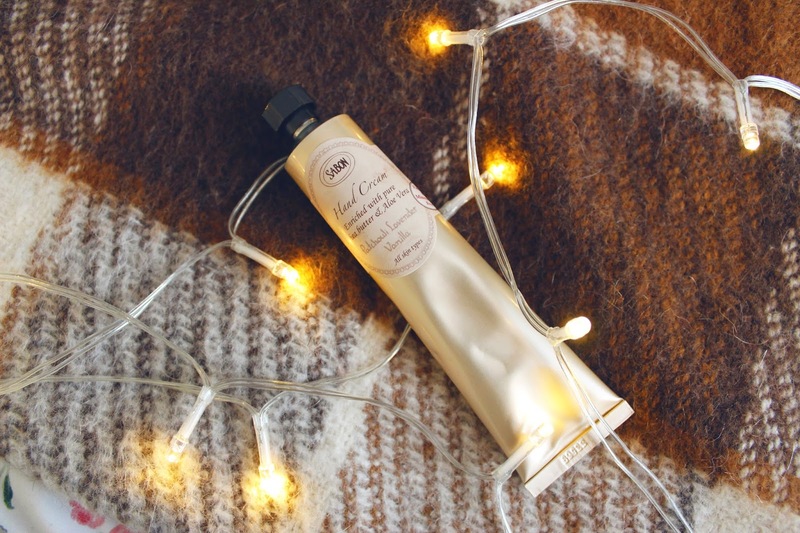 This nature-friendly, luxuriously silky and nutrient-rich Patchuoli, Lavender and Vanilla Hand Cream smells beyond amazing and is enriched with shea butter and aloe vera, – an absolute must-have if you’re obsessed with yummy creams and silky-smooth hands!